HTC teased an unannounced smartphone earlier this week, but the Taiwanese company did not offer any additional details on the mysterious device except for the fact that it will be unveiled on September 20. Previous reports pointed out that HTC plans to launch at least two Android smartphones this month, the Desire 10 Pro and Desire 10 Lifestyle. If you had any doubt that this is going to happen in September, here is another report that adds to the same assumption. According to a Chinese-language Economic Daily News (EDN) report, HTC is expected to announced two new smartphones during its upcoming event to be held on September 20. 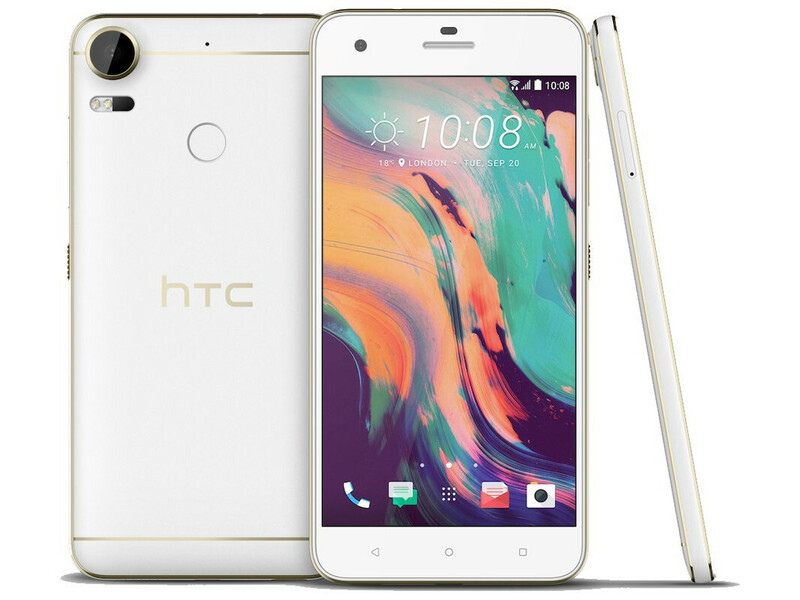 The two devices are members of HTC's Desire family: Desire 10 Pro and Desire 10 Lifestyle. The former will be aimed at the premium segment, whereas the latter belongs to the mid-range category. Since previous rumors already highlighted some of the main features of both smartphones soon to be official, here is a quick rundown of what you should expect from these Desire handsets. First of all, the Desire 10 Pro will be packed with a powerful Qualcomm Snapdragon 820 processor inside, complemented by 4GB of RAM and 32GB of storage. The high-end smartphone should sport a 5.1-inch display that supports Quad HD (2560 x 1440 pixels) resolution. A 12-megapixel rear-camera will be included as well. On the other hand, the Desire 10 Lifestyle has a larger 5.5-inch display, but it's a 720p screen. It comes with a Qualcomm Snapdragon 400 processor inside, along with 2GB RAM and 32GB of internal memory. It's also worth mentioning that both will be the first smartphones in the Desire lineup to feature fingerprint sensors. There's no word on price tag and availability yet. Bring it on! My op3 and redmi note 3 will tell you how much s**tty htc phones are!!! Lol enjoy your OP3 and Redmi Note 3 then. HTC phones are great. And thats the difference between you and me. I maintain that HTC phones are great, but do not feel the need to feel good by putting down another brand. What do you gain from feeling that your "op3 will kick HTC nuts pretty soon?" A bit of happiness that you achieved something in life? Finally better than someone? You can like your phones that you own, but seriously, you don't have to say something so unconstructive and plainly stupid. Why can't the bezels be symmetrical? A company that is proud of their designs should get these basics right! What exactly is the point in having both the HTC 10 and the Desire 10 Pro? What problem is this supposed to solve? HTC seems determined to offer products that don't cater to anyone or offer anything new. It's just a series of truly baffling business choices. Probably Desire 10 Pro is a version of OG 10 for people who want the same hardware but spend less money. But knowing HTC, I believe the price won't be that different, if not same, so I see your point now. Seriously it is impossible to please any of you. Have it at the front and have people say it is ugly etc., should put at the back. Now put at the back and wow we have the complainers again. It is hard to design a phone nowadays. It is in my opinion a well designed phone. It will turn out fine seriously. Many who complained about the HTC 10's designs (i.e huge chamfers + fingerprint scanner) in the end said it looked great and felt great in real life. Pictures can't tell everything so let's wait again for the actual reviews. At least HTC is taking many suggestions that fingerprint scanner should be at the back. The Desire 10 Lifestyle will use a years old, 32-bit, Cortex A7 based chipset? You have to be kidding me - what is the problem with using 430/435? I'd gladly pay extra for newer, up-to-date hardware, jfc. Two of the best phones I owned, M7 & M8 - worst thing about them bad implementation of good tech resulting in a s**tty camera, and hence eventually loosing my business. I'm rooting for you HTC! Make a come back.